I was flipping through the channels this morning and came across the 1950 film Cheaper by the Dozen. I was hoping I had not missed one of my favorite scenes. 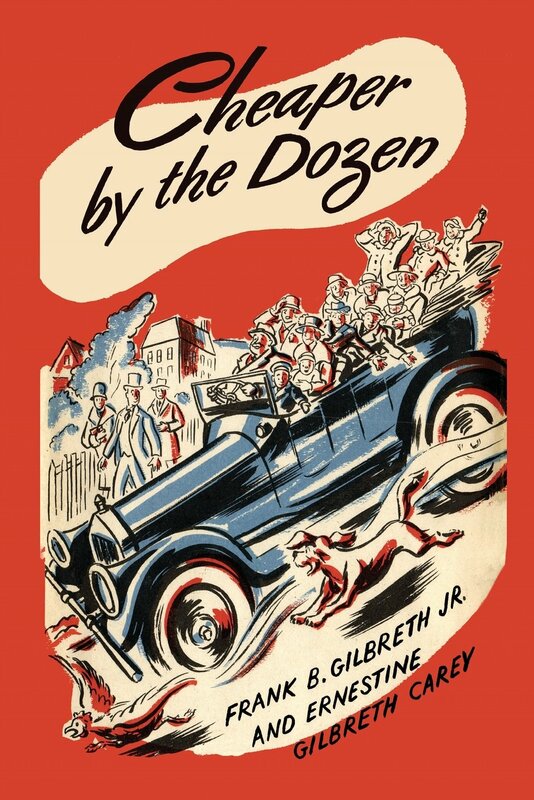 The film and novel tell the true story of time and motion study and efficiency experts Frank and Lillian Gilbreth and their twelve children. It’s unfortunate that this family-friendly movie has been eclipsed by the crude remake starring Steve Martin and Bonnie Hunt. There is no comparison with the original. Avoid the remake. Frank Gilbreth (1868–1924) started his work career as a bricklayer and then advanced to a contractor. It’s the contractor’s job to get efficient work out of his laborers while retaining quality. He noticed that his bricklayers were inefficient. From his observations, he developed a more efficient way to lay bricks. His recommendations were initially opposed by the unions because it meant fewer workers were needed on a job. Along with his wife Lillian (1878–1972), the Gilbreths made a career and science of studying the way people work. The invention of the motion picture camera-assisted them in breaking down movements into fractions of minutes to time the smallest motions in workers. They originated micro-motion study, a breakdown of work into fundamental elements now called therbligs (derived from Gilbreth spelled backward [with the t and h transposed]). These elements were studied by means of a motion-picture camera and a timing device which indicated the time intervals on the film as it was exposed. Repeated movements done the wrong way would result in fatigue and injury. They emphasized that there was only the “one best way” to perform a certain task. The Gilbreth’s were more than theorists. They put their observations into action in the real world. Frank Gilbreth was the first to propose that a surgical nurse serve as an assistant or “caddy” to a surgeon. A well-trained surgical nurse now hands surgical instruments to the surgeon as he calls for them. Armies teach recruits how to disassemble and reassemble their weapons while blindfolded based on studies and recommendations made by the Gilbreths. This ability undoubtedly has saved countless lives as soldiers learned how to clean and repair their machine guns day or night. Frank Gilbreth used every opportunity to study motion and improve the way people work. When his children came down with tonsillitis, he insisted that the operations be done in his own home, so he could film the procedure. No doubt his observations went into his recommendations for more efficient operating room procedures. There’s a delightful scene in the film that shows the change in social and moral attitudes since the 1930s. Mildred Natwick’s character visits the Gilbreth household representing Planned Parenthood. Mrs. Gilbreth is amused by the visit and calls her husband. Showing indignation, as only Clifton Webb can, he signals for the children to assemble in the living room. They come running from every corner of the house. The woman is shocked and bolts for the door muttering as she goes that someone was pulling her leg for recommending that she ask if Mrs. Gilbreth would like to join the anti-child organization. There are several great things about this scene. One is how proud and unapologetic Frank Gilbreth is about his large family. He doesn’t care a whit about Planned Parenthood’s disapproval. (Earlier in the film he responds to comments about his large family with similar humor. [see below]) Second, while the scene doesn’t dive into the most unsavory parts of Planned Parenthood’s history, it is an important reminder how these organizations were all too eager, even in the 1920s, to provide a solution despite the lack of a problem. Today, Planned Parenthood is lauded and praised and funded by money taken from us. The latest decision from the Supreme Court not to hear a case related to Medicare funding for the organization would have frustrated and infuriated the Gilbreths. A second book, Belles on Their Toes, published in 1952, continues the family’s adventures after the unexpected death of Mr. Gilbreth in 1924. Belles on Their Toes was also made into a movie, starring Jeanne Crain and Myrna Loy (1952) and focused on the lives of Mrs. Gilbreth and her children. Lillian Gilbreth took over her husband’s work and advanced his recommendations and became a well-respected advocate for the scientific study of motion in her own right. She graduated from the University of California with a B.A. and M.A. and went on to earn a Ph.D. from Brown University. Like her husband, she lectured at Purdue University. This is a wonderful movie that shows how loving parents juggle raising children, education, and work without losing the focus on any of them. On the shelf in the living room is a picture of the real-life Frank Gilbreth in uniform as an Army Major during WWI. This is visible outside the makeshift operating room during the mass tonsillectomies. Frank Gilbreth helped train a fast typist to assist the Remington Company to win a world-wide typing competition. He trained the typist to focus on the copy he was typing, not the keys. Among other things, Lillian Gilbreth patented an electric food mixer and a trash can with a step-on lid opener. Frank Gilbreth, Jr. (1911–2001) wrote under the pen name Ashley Cooper for the Post and Courier in Charleston, South Carolina and compiled the Dictionary of Charlestonese, a pamphlet that poked fun at the Charleston accent. Man on street: Hey Noah, what are you doing with that Ark? Click image for FREE 50-page booklet. 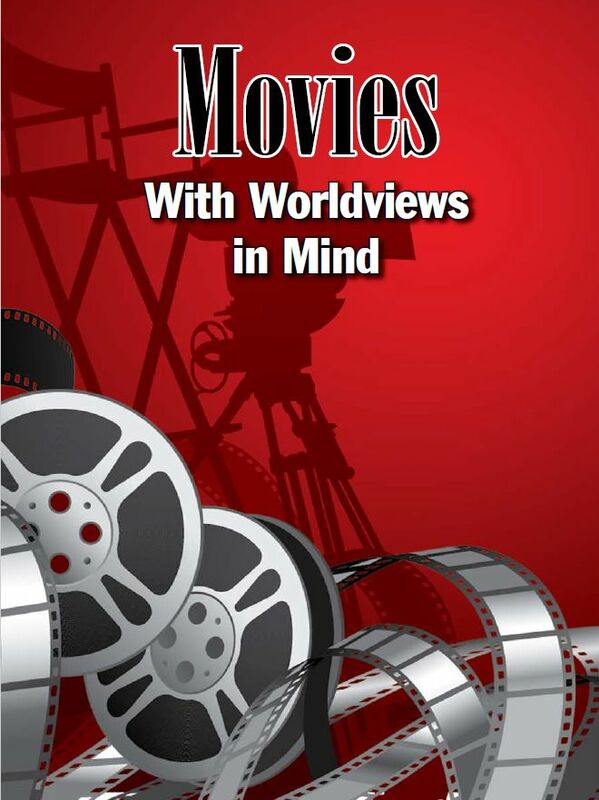 To download a free copy of my 50-page booklet Movies and Worldviews in View click HERE. Worldview Observations: The family is the foundation of society, and large families are a blessing.